Instead of doing some lengthy DIY tutorial on painting one piece of furniture with 30 photos of sanding and priming, I figure I’ll just post inspiration images that you can handily copy with a quick google search. 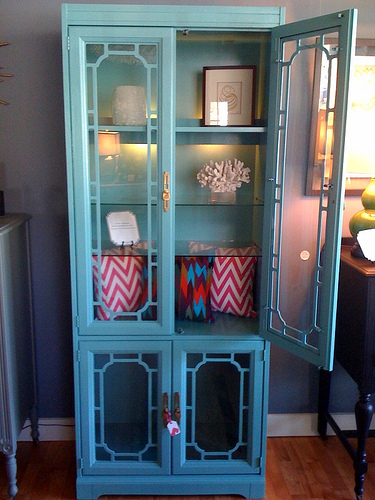 Paint an old armoire a bright color but please don’t wear that hat. 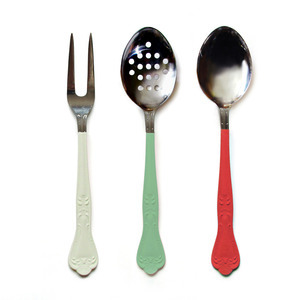 Dip old mismatched flatware. Give it as gifts and tell them you bought it from CB2. Make sure to take the goodwill stickers off first. 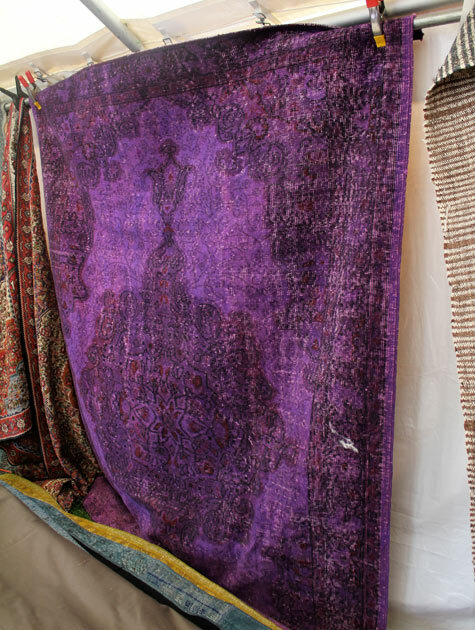 Dye a rug. I’m still trying to figure out what container you could do this in… Who has a pool I can borrow? Preferably above ground* so I don’t feel bad ruining it. 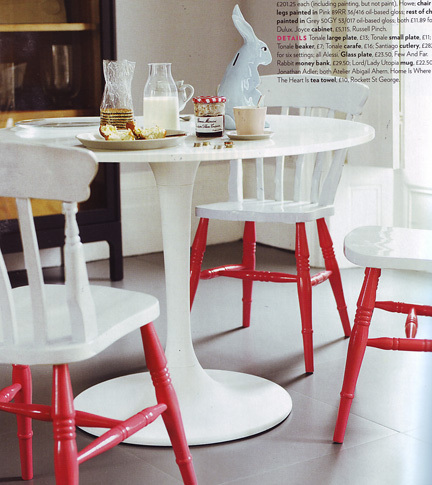 Paint your chairs. Bonus points if your MIL gave them to you. 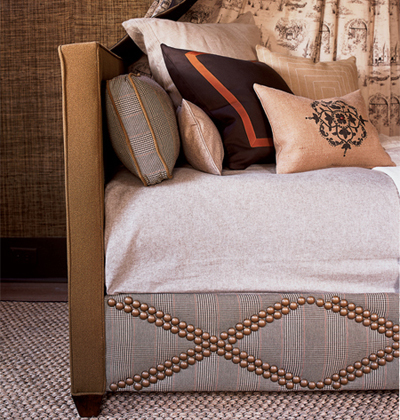 Nailhead an upholstered piece. Or upholster a piece and nailhead it. Heck nailhead your walls. My aunt did a nailhead trim in her game room and invited some lady friends over to help. She also served them wine. The trim is now crooked. Friends don’t let friends drink and nailhead. 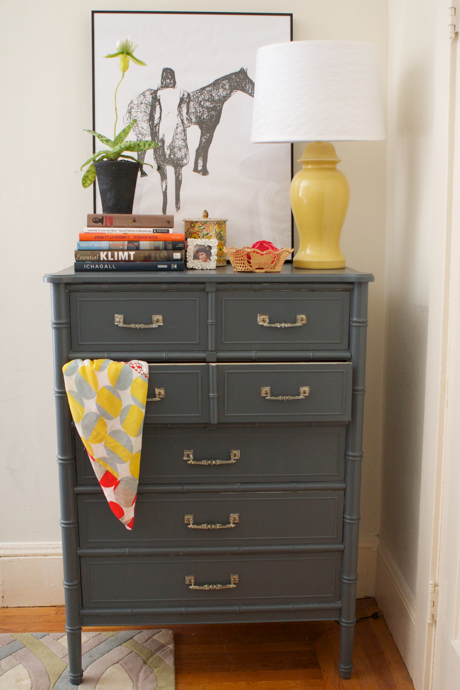 Paint more furniture. This is from Furbish. Find a piece on Craigy and get to it. 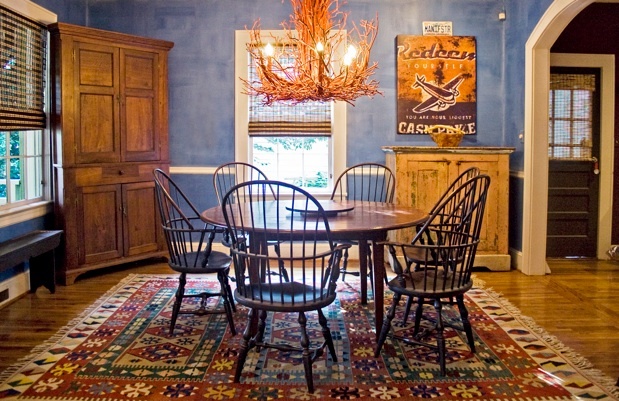 Search rattan, bamboo, or hollywood regency to find a similar style. Good luck not getting paint on the glass. 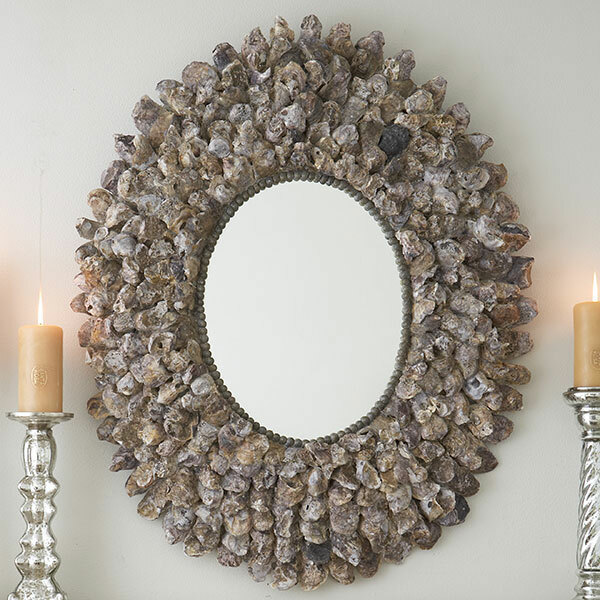 Find an ugly mirror and glue oyster shells to it. It may still be ugly. 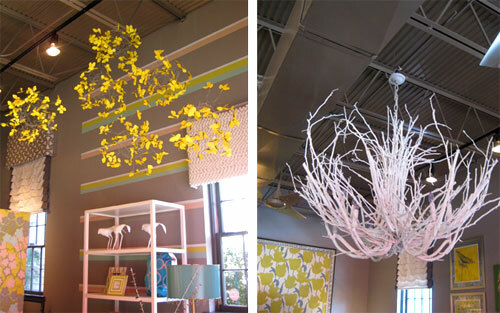 Make a branch chandelier. Find an ugly three arm brass monstrosity. Spray paint it, spray paint some branches and wire them to your hearts content. Have fun dusting that sucker. Here’s another. Ignore that godawful faux finishing. Everything looks better gray. They should really shut that door. It’s triggering my OCD. What is that person doing to the horse? It’s April. 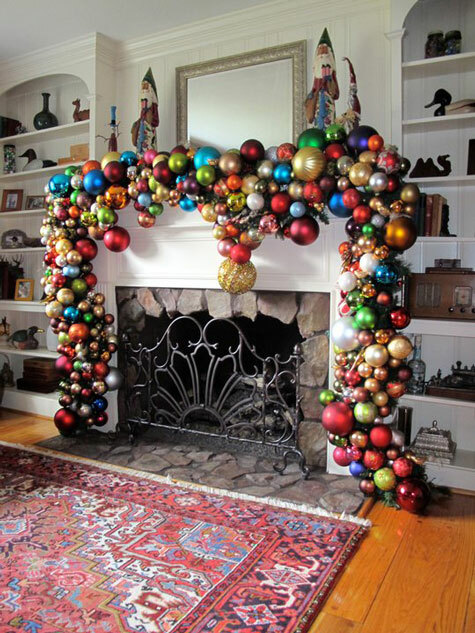 Start working on this now and maybe you’ll be halfway done by Christmas. Those Santa’s are scaring me. *Above ground pools are tacky. So is Shasta and cereal in a bag.